There’s nothing worse than counting down the milliseconds until you can finally plop onto your couch and not move after struggling through a long day in heels—especially during the holiday party season. While spending that long elevated off the ground will undoubtedly cause some pain, there are a few ways to make your pumps more comfortable. We tapped PROFOOT’s podiatrist Dr. Jackie Sutera to fill us in on what we can do to make heels more bearable. According to Dr. Sutera, the combination of a high heel height and a narrow toe box can cause neuromas, which are thickened and inflamed nerve tissue most commonly between the third and fourth toes—this can ultimately lead to pain and numbness in the toes. How to find relief? As Dr. Sutera explained, after a long day, kick back and put your feet up first. Then slide your feet into a massager (like PROFOOT’s FlexTastic) to realign your toes and restore flexibility and circulation. To prevent pain from occurring, choose a heel style that has a wider toe box. But if you are set on a more pointy stiletto with a smaller toe box, a shoe stretcher will make your heels more comfortable and prevent issues like bunions and calluses. Also to note? It’s best to alternate your heels throughout the week. If you wear the same shoes or types of shoes every single day, you up your chances of causing ligament or tendon damage from overuse. Keep scrolling to shop some of our favorite pumps of the moment—which may be a bit easier to walk in, thanks to this expert advice. 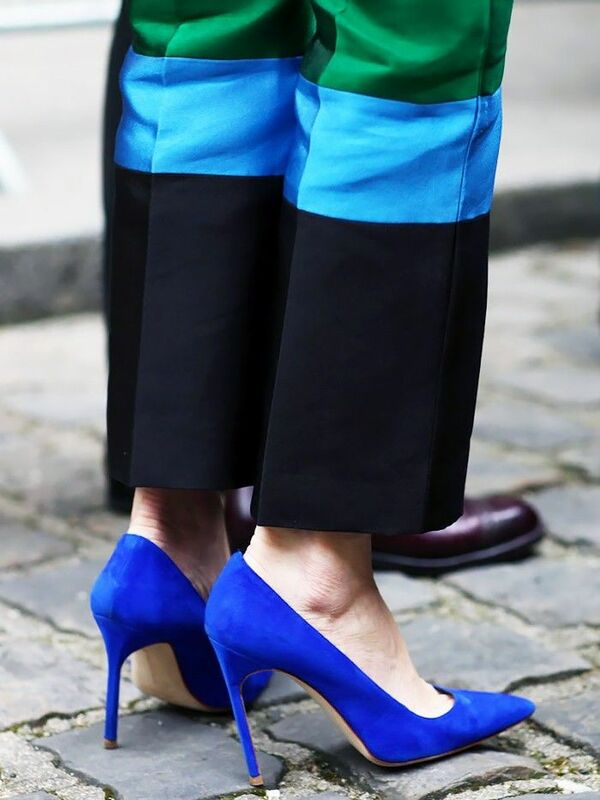 What's your trick for making heels more comfortable? Let us know in the comments below.